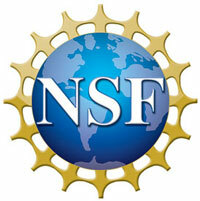 The National Science Foundation program provides undergrads unique opportunities to gain hands-on research experience. Webster University student Angela Engle has been selected as one of eight participants in the prestigious, hands-on 2016 Research Experience for Undergraduates (REU) at Western Kentucky University. The project not only advances her research experience, it also reflects well on the research capabilities and academic achievements of Webster students. REU’s are extremely competitive, and this year the REU at Western Kentucky alone received over 250 applications from students across the country. "Angela has the intellectual curiosity and academic aptitude to be really successful in psychology, so her participation in a summer REU will provide a strong springboard to the next phase of her career," said Eric Goedereis, associate professor of Psychology and academic director of Gerontology at Webster. "I am incredibly proud of her for showing the initiative to seek out this highly competitive opportunity and even prouder of the fact that she was selected." Engle said several Webster faculty members encouraged her to seek the opportunity. Goedereis said Engle's selection is a sign Webster has historically been one such university with limited hands-on research experiences. But he is happy to see significant strides have been made in creating collaborative research opportunities -- widely recognized as a high-impact educational practice. "Clearly we must do more to provide opportunities for students to engage in meaningful, mentored scientific inquiry. But Webster's commitment to the new Interdisciplinary Sciences Building and recent initiatives such as the Student/Faculty Collaborative Research Grant and external grant-seeking efforts are signs that we are serious about meeting this challenge." Meanwhile, a different aspect of Webster has served Engle well, Goedereis said. "I think through interacting with faculty and student colleagues in the smaller, closer-knit setting at Webster, she realized she had interest in and passion for psychological research. 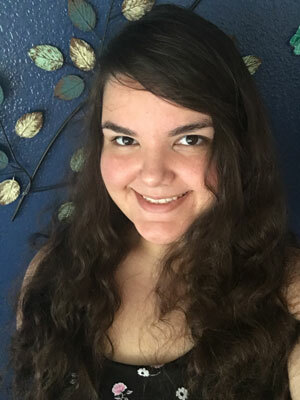 This particular REU's emphasis on integrating modern technology into psychological research will provide Angela exposure to contemporary research questions and methods, which will reinforce her emerging interest in a career in psychological research." In addition to her research, during the 10 weeks Engle will also participate in developmental workshops and activities related to topics such as ethics, research methods, statistics, computer software, and presentation skills. At the conclusion of the program, she and all REU students will present their findings at a mini research conference to university faculty and staff. The award includes a $5,000 stipend, free on-campus housing, reimbursement for travel, and financial support for conference travel to present her work. Learn more about the REU at Western Kentucky here. Learn more about the NSF’s overall REU program here.